A range of webinars designed to follow on from ‘Cancer (not so) Basic’ and ‘Cancer Treatments’. These webinars will give you more in-depth knowledge around the specific tumour site. Each webinar will follow a similar format. Firstly, you will be introduced to the anatomy related to this area, followed by the epidemiology and risk factors associated with the type of cancer. Signs and symptoms along with common diagnostic procedures will be covered, followed by detailed descriptions of staging and grading. Each webinar will be concluded by looking at common treatments available for each tumour type. 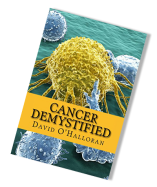 Very suitable for anyone working in these field who need more information about tumour sites. MDT coordinators will find these extremely beneficial, as will clinical coders and clinical trials and auditing personnel. Cancer registry staff, those involved with cancer charities, pharmaceutical and research staff have all attended these webinars and continue to derive benefit from the information covered. In this webinar, you will learn about the anatomy of the breast and how this relates to the types of breast cancer. You will begin to understand the risk factors for breast cancer and learn about the epidemiology of breast cancer. Staging and grading for will be covered and you will gain an appreciation of the treatment options available for people with breast cancer. This webinar will give you a good grounding in breast cancer and its treatment, you will gain a thorough understanding of terminology such as HER2, ER+ve and understand how our targeted and hormonal treatments can be used to good effect. Join me for this webinar where you will learn about the anatomy of the lungs and how this relates to the different types of cancer we get. You will learn the difference between the types of lung cancer, small cell v non-small cell, and you will be introduced to some of the key genetic mutations found in certain lung cancer which form the basis of some useful targeted therapies such as gefitinib and erlotinib. Throughout the webinar, we shall consider the TNM staging system and you will understand why metastasis in lung cancer is such a problem. Risk factors will be highlighted and the common treatments for lung cancer explored. By the end of this webinar you will have all the information you need to talk about lung cancer in a confident manner. Ovarian, Cervical and Uterine cancer will all be covered in this webinar. You will be introduced to the anatomy of this region and begin to relate this to the different types of cancers we get there. You will get a clear overview of the risk factors associated with these cancers and screening for cervical cancer will be discussed, along with screening possibilities for ovarian cancer. Epidemiology will be explored and you will learn about the common treatment options available for these cancers. All the information you need to work within this field in a confident manner will be covered in this webinar. Prostate cancer is the most common cancer in men in the UK. In this webinar, you will be introduced to the anatomy of the prostate and begin to understand how this relates to the common symptoms associated with prostate cancer. The risk factors for prostate cancer will be explored and you will learn about the relationship between male hormones and prostate cancer, and how we can use this knowledge to inform possible treatment strategies. Staging and the Gleason Grading scale will be explored and you will learn about the treatments available for prostate cancer. An excellent all-round introduction to this disease which will leave you better equipped to talk about this disease with confidence. On this webinar, you will be introduced to the anatomy of this region and begin to relate this to the types of cancers we get there. You will get a clear overview of the risk factors associated with colon cancer and understand the associated epidemiology. The bowel screening programme will be discussed and you will grasp a sound understanding of staging related to colon cancer. Throughout the webinar reference will be made to EGFR positivity, along with the role of KRAS, and you will begin to understand how this relates to colon cancer and how we can use it to formulate specific therapies. After finishing up with the common treatments we use for patients with colon cancer you will find that you can speak about this disease with more confidence. In this webinar, you will be introduced to several tumour sites. You will cover the anatomy and oncology relating to: oesophageal cancer, stomach cancer, small intestinal cancer, pancreatic and liver cancer. You will discover the range risk factors associated with these cancers and understand the range of treatment options available. A jam-packed webinar full of useful and relevant information. Join us on this webinar and you will learn about cancers of the head and neck: oral cavity cancer, pharyngeal cancer and laryngeal cancer. After a look at the anatomy of this region you will begin to understand the signs and symptoms of these cancers. Epidemiology and risk factors will be covered and you will learn about the common treatments available for people with these types of cancer. You will learn about EGRF +ve and what this means for patients and possible treatment strategies. A well-rounded webinar, designed with your learning in mind. Malignant melanoma has quadrupled in incidence in the last 4 decades. There has been around a 50% and 35% increase in incidence in men and women respectively in the last 10 years alone. In this webinar, you will learn about why this is the case and begin to understand the risk factors associated with skin cancer. The anatomy of the skin will be covered and you will gain a sound understanding of the staging systems used for malignant melanoma. Likely treatment options will be covered and you will begin to understand the role of BRaf and MEK in malignant melanoma development and treatment strategies. If you work in this field, then this webinar is essential viewing. Join us on this webinar and get all the information you need in just 1 hour! Brain tumours are very rare, but when they do occur can have very serious consequences because of their location. In this webinar, you will be introduced to the general structure of the brain and nerves cells. You will also be introduced to glial cells which from the supportive architecture for nerve cells from which most brain tumours derive. Common signs and symptoms will be discussed along with likely treatment options available.